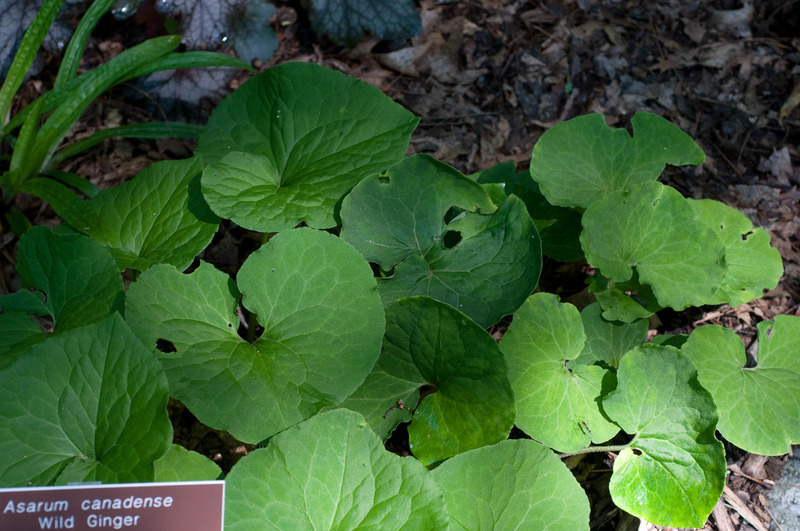 Canada wild ginger is native to North America. 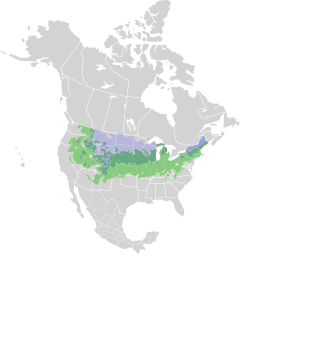 It is protected in Maine as a threatened species. Identification: This ginger is a low-growing plant that does not exceed 12" (30 cm) in height. 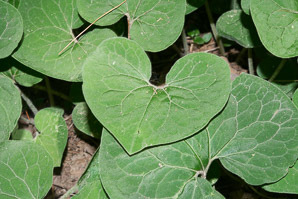 Leaves are heart-shaped, velvet green, 3-4" (7.6-10 cm) long. 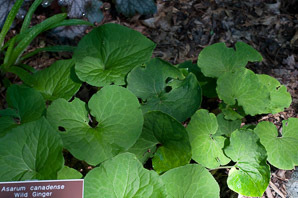 Flowers are a distinctive purple-brown color, a central cup shape surrounded by three fused sepals and no petals. 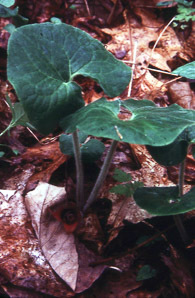 They somewhat resemble trillium flowers. 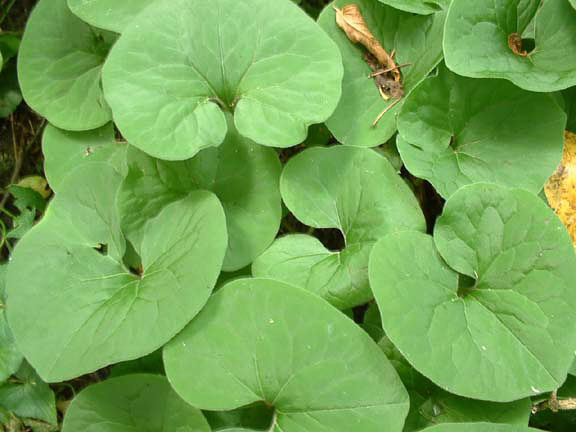 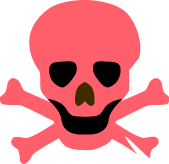 Edibility: Poisonous Although the cooked roots have been used as a ginger substitute and, by some indigenous peoples, a medication, is it carcinogenic and toxic enough to injure the liver and kidneys. 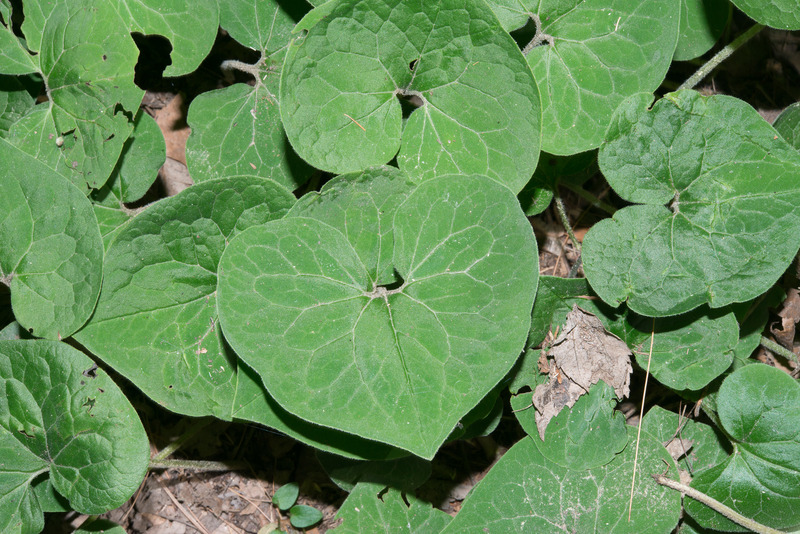 Asarum canadense description by Thomas H. Kent, last updated 12 Oct 2018.